I went to a cosmetics convention in the RDS yesterday and I picked up a delightful amount of goodies for €25! Tons of deals were on, so I stocked up! I bought 3 lipglosses - for the equivalent of €2 each! Bargain! I bought two 3D Effect lipglosses - 1: Beige Élastic & 4: Rose Emblématic. I also bought a menthol gloss, it smells delicious and minty! It comes out clear on the lips and makes your teeth look super white. I am a fan of these lipglosses, but I'm not too keen on the taste of the 3D Effect glosses however. I bought a stunning coral lipstick from the Makeup Factory. I'm delighted with this lipstick, as it's super creamy and the colour is fantastic! Perfect for Springtime. I'm delighted with this Benefit eyeshadow in the shade 'Soft Shoulder'. It will be ideal for filling in my eyebrows during the Summer, when I dye my hair blue again. 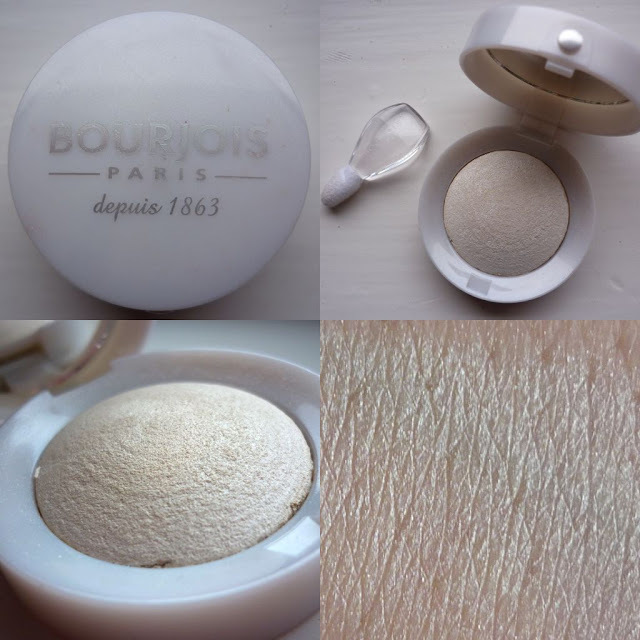 I bought a lovely Bourjois blusher in the shade 'Lune D'or'. Unfortunately it was broken when I opened it up, but I'm going to fix it with rubbing alcohol. It turns out quite golden on the skin and it is quite shimmery. I'll probably use it as a highlighter, rather than a blusher. I've been looking for a frosty white eyeshadow for ages, as I love using it on my tear duct area to brighten up my tired eyes! This Bourjois eyeshadow is ideal, it doesn't come with a shade number but it's quite easy to find I'm sure. 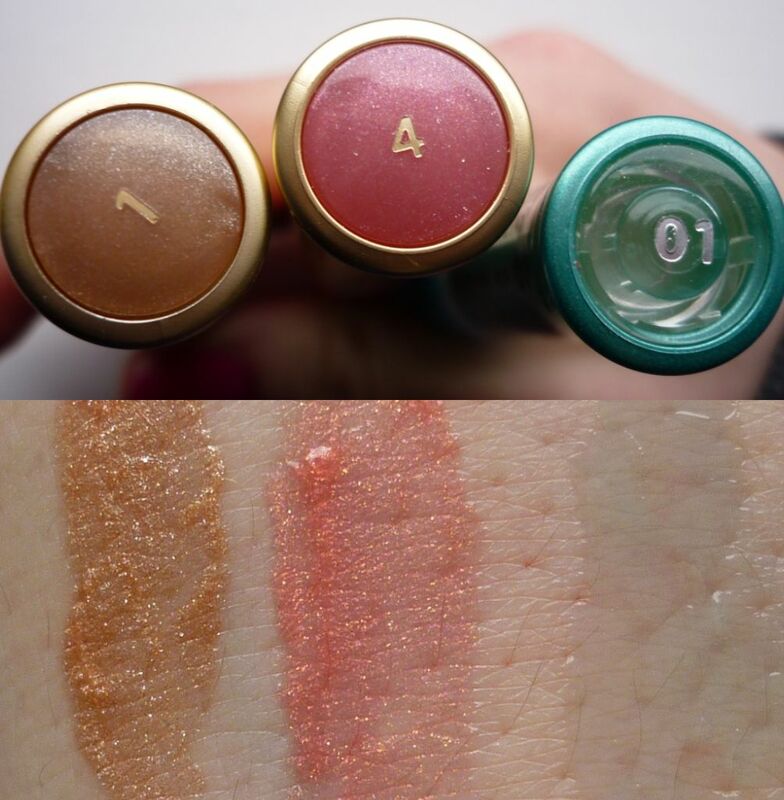 I've never used Bourjois lipsticks before, so I was thrilled to try this one! I bought the shade No.47 'Rose Paré' - a soft, rose pink. The colour is really pigmented and the lipstick doesn't dry out your lips, which is always a plus! Every girl needs some glitter in their make-up bag! I bought two Urban Decay 'Heavy Metal' products. 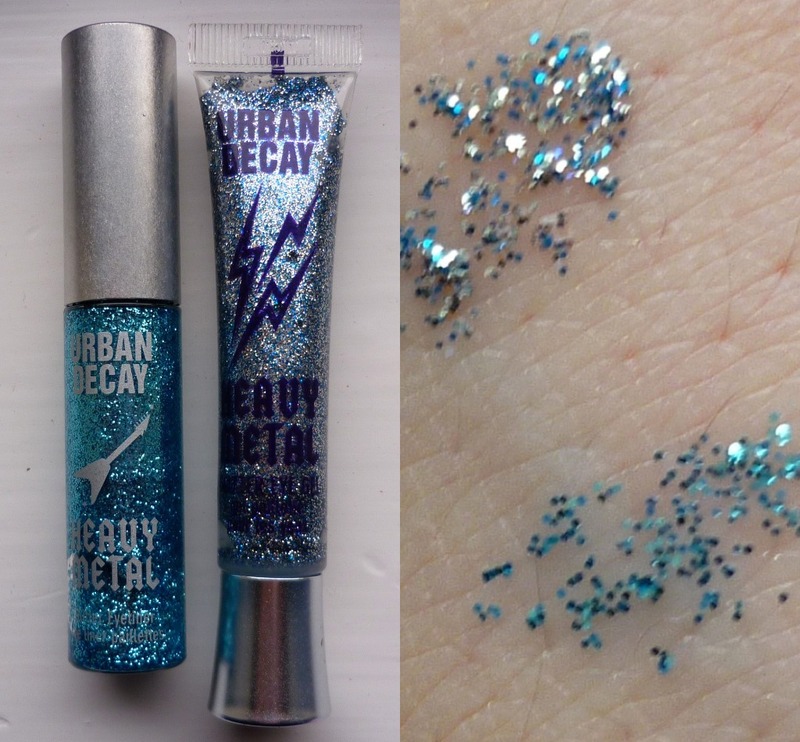 A turquoise glitter eyeliner, in the shade 'Air Guitar' and a silver and blue glitter gel, in the shade 'Bootleg'. I'm going to use these on my eyes and apply the glitter over black eyeliner, to make it stand out even more. Navy has taken over black this season and this polish is just so classy and chic. 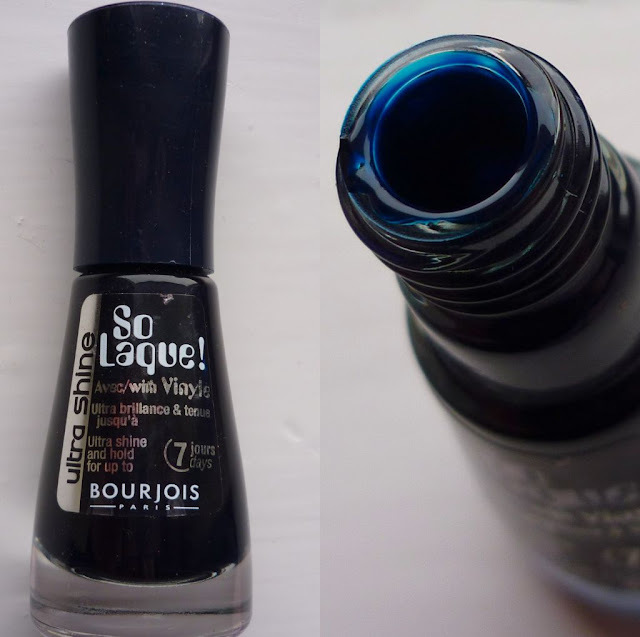 I've heard fantastic reviews about Bourjois polishes, so I'm really excited to use this! I got a deep navy shade - No.32 'Bleu Mystérieux'. Eyes Lips Face aka. e.l.f is a fantastic make-up brand that has taken over the U.S by storm! 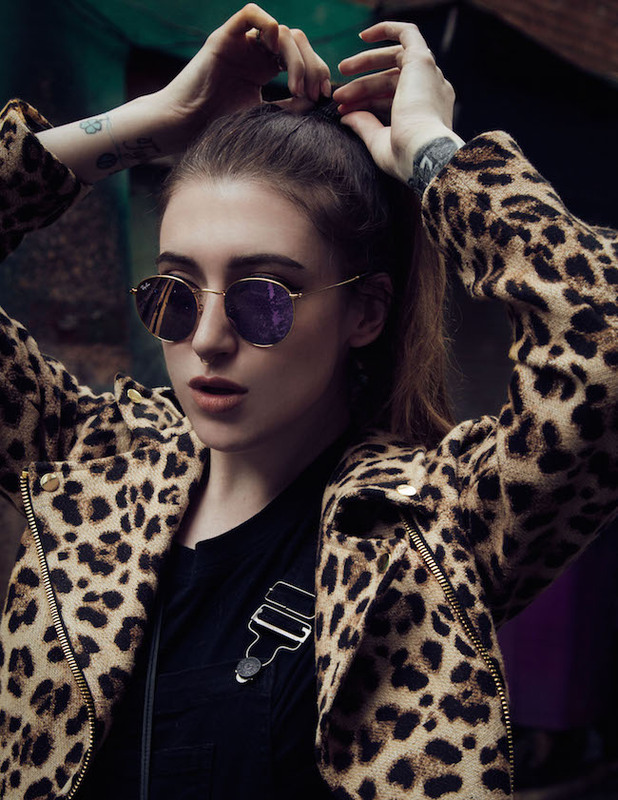 It's extremely affordable and they have recently set up a UK webstore (where I purchased these items). Tons of beauty gurus have raved about e.l.f products, so I thought it was about time I invested in some. I am nearly finished my Pout powder, so I bought this e.l.f pressed powder, in the shade 'Porcelain'. I love the packaging! It's so smart and also, a mirror and applicator comes with the compact. All of this for only €4! Amazing. I've never used a highlighter before but after seeing tutorials on it and how to use it, I've become quite interested in it. You apply a highlighter on to the top of your cheekbones, on your eyebrow arch and also on to the temples of your head. It really brightens up your face and adds a pretty shimmer to your complexion. 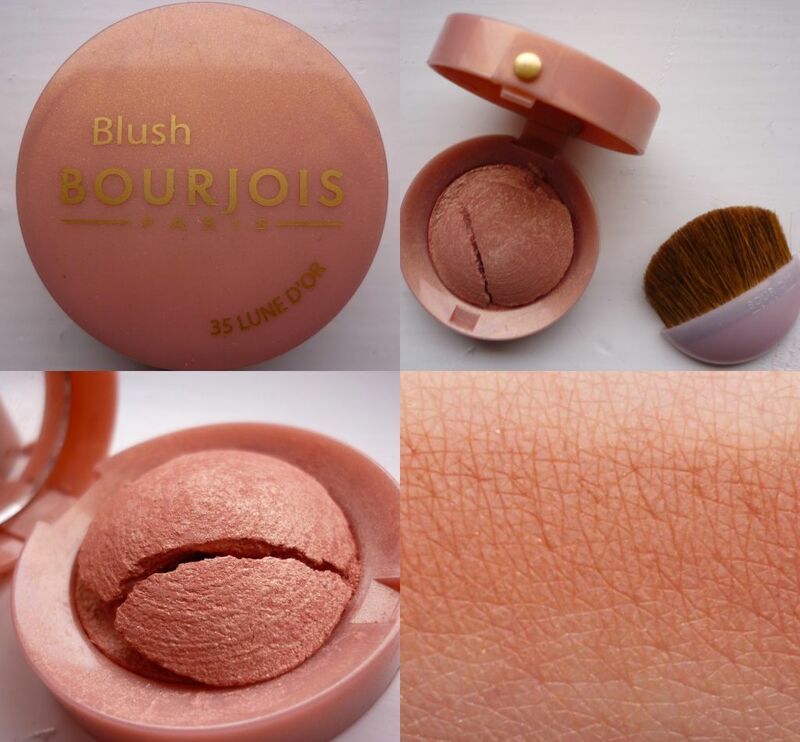 I bought this highlighting blush in the shade 'Gotta Glow', for €4 also! You can't go wrong. And again, you get a mirror with the compact, so it's ideal for girls on the go. E.l.f's nail polishes get amazing reviews, so I thought I'd test one out. I bought a matte white for a change and I'll review it once I've used it. It sounds good however and the bottle is a decent size. This polish was only €1.70 also. I am so delighted with this e.l.f item especially! I bought an eye widening white pencil. You apply it on the waterline and inside the tear ducts of your eyes, to awaken tired eyes and to also brighten them up. 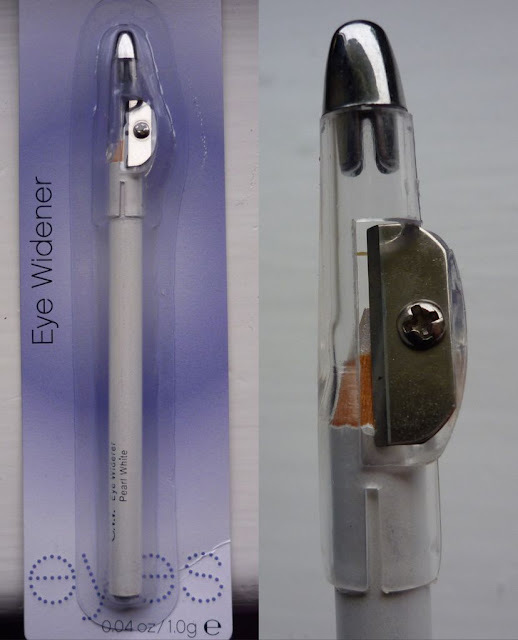 White eye pencils also give the illusion of a bigger eye, so they're ideal for people with small eyes. I love this pencil, as I find the lid extremely clever and handy - a sharpener is built in to it! This was also an amazing €1.70.